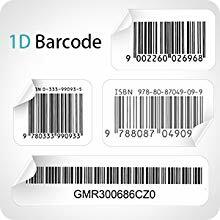 There are several different types of barcode scanners available, each with its own strengths. The adoption of barcode scanning is on the rise, and it’s being driven in part by lower costs, increased functionality, and the benefits derived from eliminating manual data collection from a variety of applications. According to VDC Research, the mobile barcode scanner market is set to generate more than $150 million in revenue by 2021. Warehouse/distribution center and retail applications accounted for 80 percent of mobile scanner sales in 2016. Although it’s easier than ever before to deploy barcode scanners in the warehouse, selecting the right type of scanner has grown increasingly complex thanks to the proliferation of form factors and the use of multiple types of barcodes in the supply chain. Regardless of the form factor, every barcode scanner uses a laser scan engine or an imaging scanner to capture data. Laser scanners are commonly used in grocery store checkout lines and use a laser beam to read the barcode. These scanners can only scan linear or one-dimensional barcodes like the UPC symbol used on retail packaging. Warehouses have begun to standardize on 2D imagers as more scanner manufacturers transition to the technology. The cost of the imaging hardware has come down, and companies are attracted by the flexibility of being able to scan any barcode, as well as capture other kinds of images and optical character recognition (OCR) data. Both laser and imaging scanners are available in a wide variety of form factors. Each is suited for different types of applications depending on the work environment, scan volume, ergonomics, and other factors. Handheld barcode scanners are typically attached to desktop or mobile computers. These corded or cordless scanners can be either laser or imager based and are made for relatively stationary scan work where the scanner has to communicate with a fixed workstation. They are light, easy to operate and cost much less than a handheld computer. These devices are ideal for high-volume scan environments (like a shipping or receiving area) and provide excellent performance at a relatively close range. They are also commonly used in retail point of sale applications. Some of these devices include a small keypad. There is even a wearable variation called a ring scanner that can be used in high-volume picking/putaway applications where users benefit from hands-free operation. These devices have been shown in time/motion studies to increase productivity significantly because the scanning operation is more natural. In the warehouse, other applications may be better served with a mobile device that includes greater onboard processing power, a display and keypad, along with a high-performance scanner. There are two basic categories of these industrial mobile computers. Pistol-grip devices provide point-and-shoot scanning at a long distance and are typically equipped with a physical keypad. Because these devices offer a long range, they are well suited for forklift applications and put-away operations, because drivers can scan a pallet load of product from a distance without leaving the vehicle. 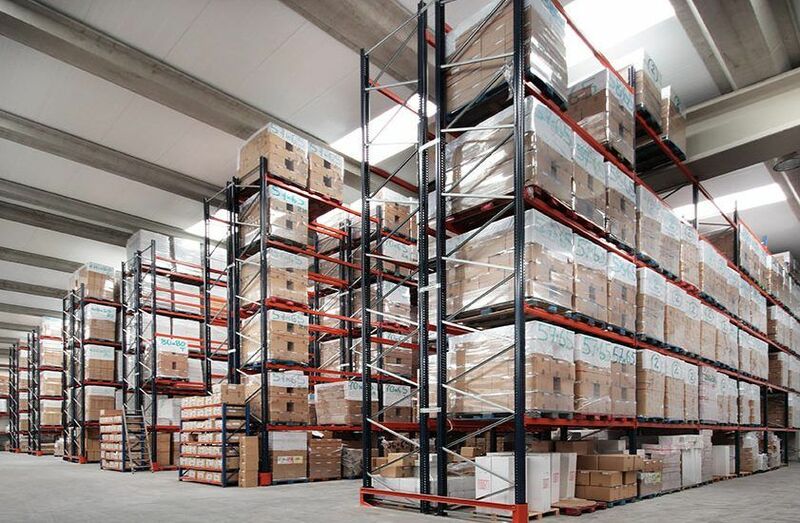 Other applications in a warehouse don’t require that type of long-distance scanning and can be served with smaller mobile devices that operate much like a consumer-style smartphone. These devices have a touchscreen, but they are ruggedized for line-of-business operations and include a more robust scan engine than is typically found on a consumer device. Often used in healthcare, field service, and retail applications, these scanners can also be deployed in a receiving or shipping department where scan volumes are lower and up-close scanning (within 15 inches) is preferred. There are also models in this class that have longer scan ranges up to 10 feet. Vehicle-based barcode scanning systems are another common option. In some warehouses, forklifts and other vehicles are equipped with tablet-style, vehicle-mount computers that provide a larger display. These devices can be coupled with a long-range scan gun (either corded or cordless) for rapid scanning from the vehicle. Depending on the manufacturer, each of these scanner types can be purchased with different features, functions, and specifications. In a warehouse environment, you should select a scanner that is rugged (with the appropriate IP rating for dust and water protection) and ergonomically designed to help prevent stress injuries. Additionally, mobile devices are available with various operating systems choices, which can affect interoperability with your applications. There was a time when it looked like Microsoft had the mobile OS market locked up. In fact, over the past decade, Windows CE and Windows Embedded Handheld (WEH) 6.5 became the OS platforms of choice for the majority of enterprise (i.e., rugged) mobile devices, representing an install base of more than 15 million devices. The platform’s ubiquity contributed to a broad portfolio of devices for end users to select from, plus robust development tools, an active developer community, and comprehensive support options for VARs and software developers. With the array of available form factors, scan engines, operating systems, and features, there is a barcode scanner for every application in your facility. What’s now a shock for many is that Microsoft is discontinuing development of these mobility platforms (in favor of Windows Mobile 10) and by 2020 the OS’s mentioned above will no longer be supported. What this means is that $12 billion worth of mobile computers will need to be refreshed over the next few years. 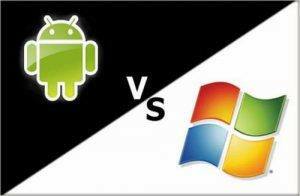 Microsoft has a Big Stake in Android’s Success. While Microsoft may be losing mobile OS dominance, it’s come up with a couple of ingenious (and lucrative) workarounds. First, Microsoft has strategic agreements with more than 20 Android OEMs (e.g., Sony, LG) to install its Office products on their Android devices. Basic functionality such as viewing and editing is free, but for those who want access to the full range of features, an Office 365 subscription is needed. Another way Microsoft is benefitting from Android is by collecting royalties on patent infringements. According to some estimates, this generates about $2 billion a year from Android manufacturers in patent infringement fees. Android 6.0 Marshmallow adopts an iOS-like security approach. With the release of Android 6.0 Marshmallow in Q4 2015, Android gave users more granular permission controls for each app as opposed to an “all or none” status offered previously. Additionally, IT administrators can manage app permissions that reside in Android for Work (see below), another managed container (e.g., for BYOD deployments), or on fully managed corporate-issued devices. Remote Wipe. This is important in the event a device containing corporate intellectual property or personally identifiable information is lost or stolen. Push Notification. IT admins can use this feature to send users reminders about the company’s security policies. Geolocation. This feature comes in handy for lost/stolen devices as well as situations where companies want to monitor remote/field workers. Encryption. Although Android devices do not have built-in S/MIME (Secure/Multipurpose Internet Mail Extensions), Android does offer encryption for email (message body and attachments) and messaging with the help of the Cipher mail application, available in the Google Play Store. This feature is compatible with Gmail, Outlook, Lotus Notes, and Thunderbird email clients, to name a few. Privacy. Beginning with the previous Android release, Lollipop, privacy settings were supported, including the built-in option to disable applications with user access to device data such as how often applications are used. When it comes to warehouse barcode scanning, there’s never been a better time to deploy new technology. With the array of available form factors, scan engines, operating systems, and features, there is a barcode scanner for every application in your facility. 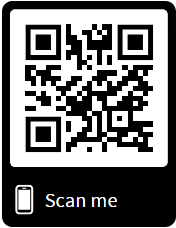 Contact an EMS Barcode Solutions barcode scanning specialist today to learn more about which kinds of scanners and other technologies could best support your operations. We’re available via web chat, email or phone.